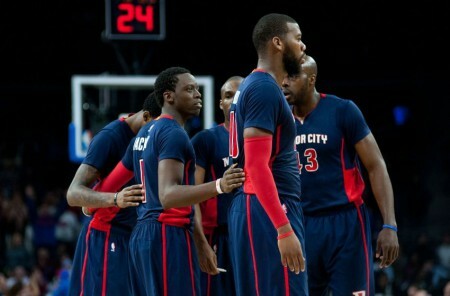 The Topic: Thunder crew recaps the Pistons game on their first recap podcast. Guess what, Thunder fans???? It’s Game Day!!!!! Let me preface this by saying I wish Reggie Jackson nothing but the best in his future endeavors. He’s a part of the Oklahoma City Thunder family tree and will forever be linked to the organization one way or another. As is usually the case with break-ups that are other than amicable, the ugly details leading up to the split usually don’t become apparent until after the split is finalized. Jackson’s season with the Thunder up until the trade deadline had been, in a word, underwhelming. With Kevin Durant and Russell Westbrook missing games due to injuries in the beginning of the season, Jackson was tasked with leading the Thunder during that rough patch. Jackson actually did a commendable job in the absence of the superstar duo. Not only were Durant and Westbrook out, but other key contributors such as Perry Jones, Anthony Morrow, Jeremy Lamb, and Andre Roberson were also shuffling in and out of the line-up due to various injuries. In the 13 games in which both Durant and Westbrook missed, Jackson averaged 20.2 points, 5.2 rebounds, 7.8 assists, and 1.1 steals on 41.6% shooting from the field and 27% shooting from the 3-point line to go along with 4.7 free throw attempts per game. The numbers were very “Westbrookian,” but the team ended up with a 3-10 record during that stretch. Despite the record, though, Jackson’s game showed signs of improvement from the previous season during that 13-game stretch. It was exciting to think of the prospects of Durant and Westbrook getting healthy and Jackson continuing this type of play. The feeling was that it would give the Thunder a 3-headed monster that hadn’t been seen since the days of James Harden. The Thunder, for as rough as the start of the season has been, would get healthier throughout the year and would, hopefully, form a sort of juggernaut that would be hard for teams to contain. Instead, Jackson’s play progressively tapered off from the first month of the season. He eschewed his bread and butter (driving to the basket) in favor of step back 20-footers and unreliable 3-point attempts. He waffled on defense, consistently getting beaten off the dribble and almost never putting forth the effort to recover. He visibly pouted on the court and the frustrations from his teammates grew as the season pushed on. In the 37 games after Westbrook returned from injury, Jackson, as a reserve, averaged only 10.2 points, 3.1 assists, and 3.6 rebounds on 44.3% shooting from the field and 28.4% shooting from deep, while only attempting 1.5 free throw attempts per game. His minutes dipped every month of the season, going from 38.2 in November to 28.4 in December to 21.1 in January and finally to 19.2 in February. The writing on the wall became clearer when the Thunder traded for Dion Waiters in early January. There was no reason for the Thunder to trade for another high volume scorer/shooter if their intentions were to keep Jackson for the rest of the season. The minute Waiters joined the team, Jackson’s minutes took a hit and he was relegated to 8th or 9th man duties off the bench. The two bench scorers seemed to get in each other’s way when they were on the court together. Sometimes it worked, but most of the time it was ineffective. Another sign was that Waiters and Morrow were closing close games out, instead of Jackson. The Thunder knew there was a possibility this would happen. Starting from the end of last season, Jackson was not shy of letting his intentions be known that he wanted to not only start, but also to lead his own team. With that statement, Jackson basically drew a line in the sand. If this was a team that had any instability at the point guard position, that might have been an option. But the Thunder are as stable at point guard as they are at small forward. There was no possibility, outside of a catastrophic injury, that Jackson would leapfrog Westbrook on the depth chart. The organization gambled on the hope that the starting comment was actually a leverage play to get more money. But, apparently, Jackson really wanted the opportunity to lead his own team. On that merit alone, I do not fault Jackson. As recently as a couple weeks ago, I wrote an article outlining why Jackson may have been holding back. Some people are content with falling in line and playing their role. Others want to explore all the possibilities laid out in front of them. Jackson fell into the latter ilk. He wanted to see how far he could push himself, and that wasn’t going to happen as a reserve on the Thunder. So for that, I do understand Jackson’s stance. Then the trade happened. At first, I was happy for Jackson. He would finally get his chance to lead his own team. 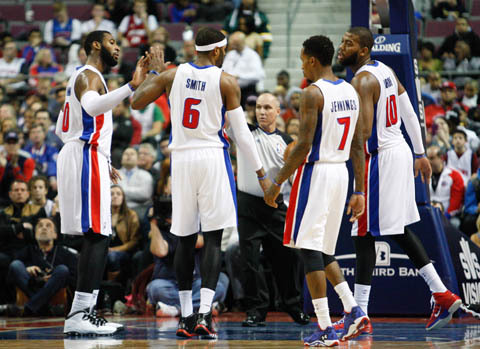 And to boot, it was a pretty good team, with talented young teammates (Andre Drummond, Greg Monroe, and Kentavious Caldwell-Pope). But then, honest Reggie had to open up his mouth, or Twitter account. Really? Tears of joy? I understand finally getting your opportunity to prove yourself, but this tweet seems more apropos for something the ancient Israelites would say after they crossed the parted Red Sea lead by Moses. I mean, was Jackson caged in a dungeon and only allowed out to practice and play in games? Of course, Jackson then sent out 3 consecutive tweets thanking the community and the Thunder for his time in Oklahoma City. To me, the first tweet was much louder than the other three tweets that followed. The worst part is that I actually like Reggie’s honesty. He was genuinely pained, and visibly upset, for the people of Moore when the tornado struck a couple years ago. He was visibly emotional after Game 4 of the Memphis series; a game in which Jackson single handedly kept the Thunder in the game and in the series. His honesty was a welcome antithesis to the manufactured answers most sports figures give in interviews. But, as Jackson showed, that honesty can cut both ways. 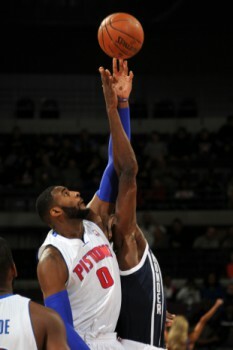 Then, Jackson played his first two games for the Pistons. And that’s when it really started bothering me. What we saw in those first two games with the Pistons was the Jackson from the beginning of the season and from last season. The Jackson that can put up 19 points, 7.5 rebounds, 7 assists, and 5 free throw attempts per game. The Jackson that could change a game with his ability to drive into the lane. 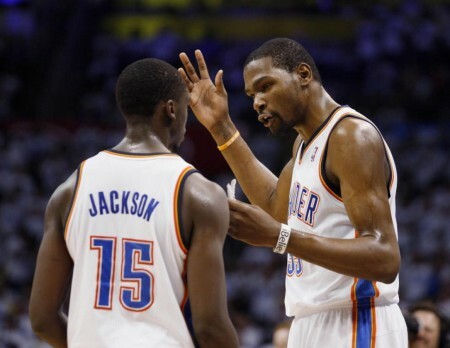 That Jackson could have helped the Thunder immensely throughout this crazy season. Instead, we got 70% Reggie Jackson from December on. I understand wanting a change of scenery. But now I realize, I can’t respect the way Jackson did it. So for that, I say, good riddance Reggie Jackson. From the time I woke up on February 19th to about 1:30 PM CST, I was almost certain that a certain Brooklyn Nets 7-footer would be a member of the Oklahoma City Thunder. Speculation was abound that the Thunder and Nets had rekindled talks revolving around Brook Lopez, Kendrick Perkins, and Reggie Jackson. All the information leading up to about 12:30 PM CST was that it was basically a done deal and that the Nets were awaiting Oklahoma City’s approval. Then the chatter stopped. Trades usually come at you one of two ways. The first way is like the trade in which the Thunder acquired Dion Waiters. It comes at you in an instant and you barely have time to react. The second way is like the Brook Lopez (non)trade. You hear the rumors and speculation leading up to the trade, and usually it gets done after that. But sometimes, the chatter stops prompting one of two thoughts: either the teams are working on the specifics of the deal or the deal has completely fallen through. In the case of Brook Lopez, it was the latter. The rumors started that the Thunder were doing their due diligence and were looking at all their options. 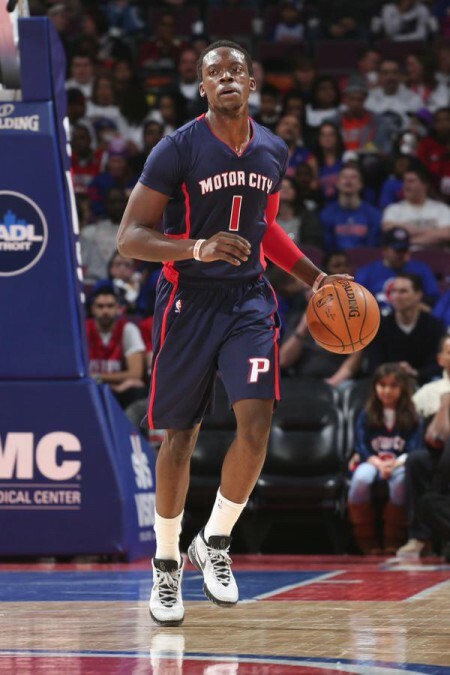 Around 1:45 PM CST, Adrian Wojnarowski tweeted that Reggie Jackson had been traded to the Detroit Pistons. Apparently the Jackson move was the linchpin that was holding everything back in the league. Once Jackson was dealt, all hell broke loose. About 30 players were traded in a 10 minute span leading to the trading deadline. The trade deadline literally napalmed the entire league. And these weren’t end of the bench players. These were former All-Stars, talented players on rookie deals, a former Rookie of the Year, and game-changers. This trade deadline was definitely worth it. When all the dust settled, four new players were slated to be in Thunder uniforms, while four others became former Thunder players. Here’s an overview of the two deals the Thunder made at the deadline. Oklahoma City received Enes Kanter and Steve Novak from Utah and DJ Augustin, Kyle Singer, and a 2019 2nd round pick from Detroit. Utah received Kendrick Perkins, Grant Jerrett, the draft rights to Tibor Pleiss, and a 2017 lottery protected 1st round pick from Oklahoma City and a 2017 2nd round pick from Detroit. The Jackson deal was actually a 3 team deal that also involved Kendrick Perkins and little used rookie forward Grant Jerrett. Jackson let his intentions be known at the end of last season and at training camp this season, that his main goal was to be a starter in the league. With Russell Westbrook in tow and Oklahoma City’s penchant for starting defensive minded, normal sized SG’s, the Thunder were never in a position to acquiesce to Jackson’s demands. As the trading deadline drew closer, Jackson’s agent, Aaron Mintz, asked the team to trade his client. From all the accounts, the locker room chemistry between Jackson and his teammates (specifically Kevin Durant and Westbrook) was reaching a boiling point of which there would be no returning from. The Thunder had to get a deal done and Detroit (and Utah) offered them the best deal in terms of known commodities. I will say this. It was kind of hard to see Perkins go. On a team full of hares, Perkins was the tortoise. I know he was the bane of a lot of Thunder fans’ existences, but his effects on the team will be felt for years to come. He was the big brother on the team and he relished that role. When the younger players (to include Durant and Westbrook) had a bad day, they would usually turn to Perkins for advice. He was the protector of the inner sanctum. Only team members and a select few were allowed in their locker room (I’m looking at you, Joakim Noah). He made the team better defensively (don’t argue, just look up the stats), and toughened them up. Did he have his flaws? Of course. But he also personified the qualities that you and I take into our 9 to 5’s, and I for one, appreciated it. Oklahoma City received a protected 2016 2nd round pick from New Orleans. New Orleans received Ish Smith, the draft rights to Latavious Williams, a 2015 protected 2nd round pick from Oklahoma City, and cash considerations. The Thunder made this move to clear a roster spot for the incoming new players. The Thunder could have waived Smith, but his salary would have counted towards their final salary number of the team. With the team already being over the luxury tax, they didn’t want to add to the total amount they would have to pay to the league. Instead, New Orleans stepped in and took on Smith, who was subsequently waived. 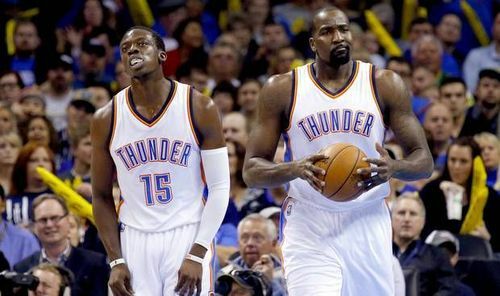 When I look at the players the Thunder acquired, one word resonates in my mind: balance. This is the most balanced team the Thunder has ever yielded. You could argue that the 2011-12 team that made it to the NBA Finals was more balanced, but this team is more experienced. In the end, the Thunder lost a good player in Jackson and a team leader in Perkins, but got back so much more in depth and balance. The Thunder got back a true back-up point guard that can shoot, two sharp-shooters, and an offensively adept center that is only 22 years of age. In short, the Thunder got better.